Welcome to the MCASD Homepage! Square dancing is alive and well in Chicagoland. Come here to find out about upcoming dances, square dancing tips, lessons, news, and more! Nationally known caller TOM MILLER will be calling for Basic and Club 50-level dancers at the Benefit Dance For C.A.R.E. on Thursday, March 21, in Glenview. Do you know anybody who has gone above and beyond for square dancing in the Chicago area? If so, consider nominating them for the Hall of Fame award. GIVE SQUARE DANCING A TRY at free Intro to Square Dance parties taking place around the Chicago area. Are you new to Square Dance? Check out our Facebook page for the latest updates and information about square dance lessons, intro parties and more. Interested in learning how to call? Check out the Chicago Caller School website. 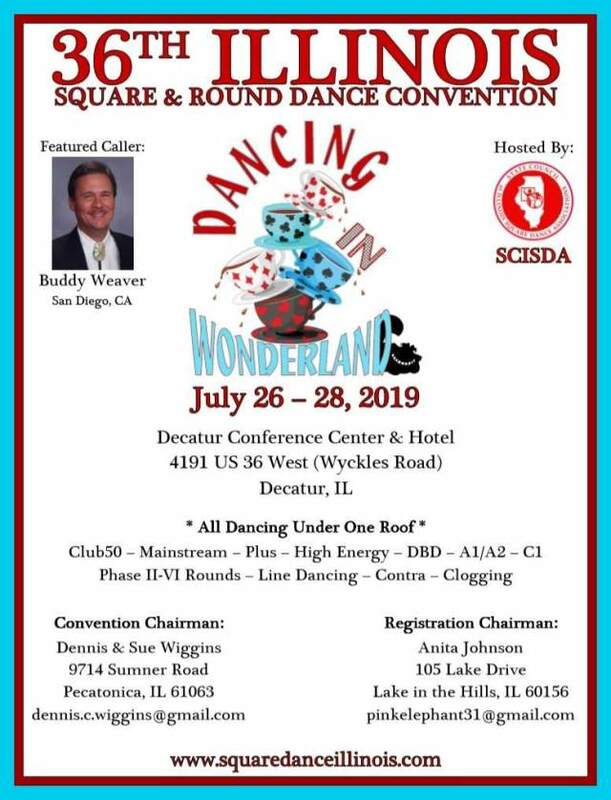 Are you already a Square Dancer? Join the conversation about Square Dancing in the greater Chicago area by becoming a member of the 'Square Dance Chicago' group on Facebook. Have some suggestions for the site? Or just want to add some dances to the schedule? Send an email to Brian at squaredancechicago@hotmail.com, or if it’s urgent, call 773-701-3194. Get your club going with the MCASD Toolbox: strategies, templates, suggestions, and other ideas. Looking for a caller for a private party? Try someone from here. Forms – Click to download the Dance Schedule Form, Caller Agreement Form, Record of Club Visit Form, Printing Request Form, and more.